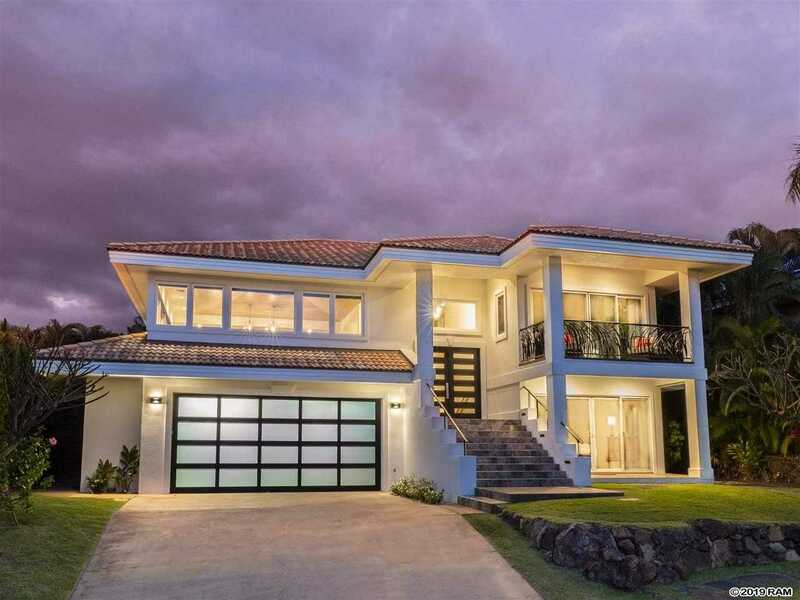 Courtesy of Romvari Realty Ltd..
Masterfully designed, capturing a resort feel, spectacular ocean views, privacy and functionality, this contemporary home addresses the modern familyâs needs. Take in gorgeous ocean views from the great room, kitchen, dining area and the master suite. Enjoy total privacy in the separate master suite wing with en suite bathroom with soaking tub, walk-in closet and additional storage. All the bedrooms have en suite bathrooms and glass slider doors leading to their private lanais. Seamlessly connect from the indoor to the outdoor focal area, the tropical and playful large basalt adorned pool, with tranquil waterfall, relaxing jacuzzi and barbeque area. Two-car garage with extra storage, security system, a separate laundry room, solar hot water and central A/C. This home comes completely furnished. Located in gated Wailea Pualani Estates residence, within easy walking to all the Wailea amenities and the beautiful South Maui beaches. Please, send me more information on this property: MLS# 382199 – $2,195,000 – 295 Pualoa Nani Pl, Kihei, HI 96753.